The new issue of Empire includes the very first look at the set of the upcoming “Warcraft” movie currently filming in Vancouver. 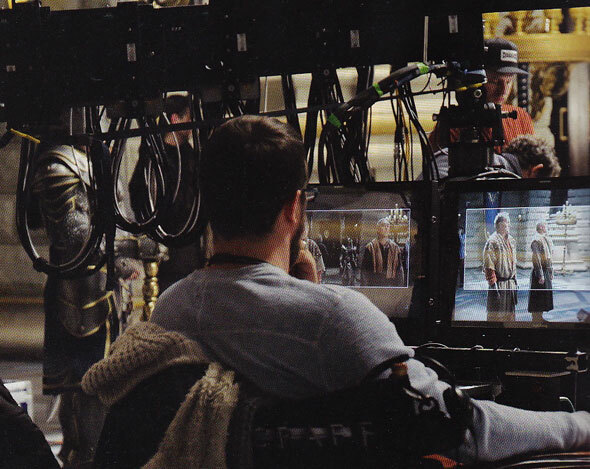 The photo shows the film’s director Duncan Jones (“Source Code,” “Moon”) checking monitors watching his actors work. Ben Foster, Travis Fimmel, Paula Patton, Toby Kebbell, Rob Kazinsky, Dominic Cooper and Clancy Brown star in the film which opens March 2016.